Jennifer Anne Sidley, DVM, DACVIM (Cardiology), is a practicing veterinary cardiologist with CVCA Cardiac Care for Pets in Alexandria, Virginia. She earned her DVM from University of Minnesota and completed a small animal rotating internship and cardiology residency at North Carolina State University. Treatment complications can make heartworm disease particularly challenging. Following are the most common complications the author has encountered from heartworm treatment, as well as strategies to minimize them. Before treatment, patients should be stabilized to maximize lung function and improve their ability to handle dying worms. Anti-inflammatory doses of prednisone 7 to 14 days before treatment should be given to patients with significant pulmonary infiltrate or respiratory signs (eg, coughing, tachypnea); right-sided heart failure should be treated and stabilized. Exercise increases blood flow to damaged, blocked vessels and leads to worsening lung injury, increased pulmonary vascular resistance, pulmonary hypertension, and, potentially, right-sided heart failure. Therefore, strict exercise restriction is essential to minimize the severity of cardiopulmonary damage.3,4 Restriction should begin the day of diagnosis and extend throughout the entire treatment and recovery period, with the most extreme restriction lasting 4 to 6 weeks after each melarsomine injection.2 Restriction may vary depending on patient and owner needs but ideally involves cage confinement or restriction to a single room with just short leash walks to eliminate, particularly for more severe cases. Melarsomine is not 100% effective, and not all worms are killed in every patient. The extended 3-dose treatment protocol has a higher efficacy than the 2-dose protocol.6,7 The American Heartworm Society recommends the 3-dose protocol for all dogs treated for heartworms, regardless of stage, because of its higher efficacy and lower risk for pulmonary complications.2 This may involve greater cost for the owner and a longer period of exercise restriction, but the potential benefit for the patient outweighs this added cost and inconvenience. Improved sensitivity of tests over time has allowed clinicians to detect smaller worm numbers (as few as 1-3 female worms). Typically, the worm burden is still significantly reduced in persistently positive animals. The decision for retreament should be made on a case-by-case basis, depending on patient age, activity level, worm burden, and history. A geriatric, low-energy dog would likely tolerate a few persistent worms better than would a young, active dog, and the latter would benefit more from retreatment. 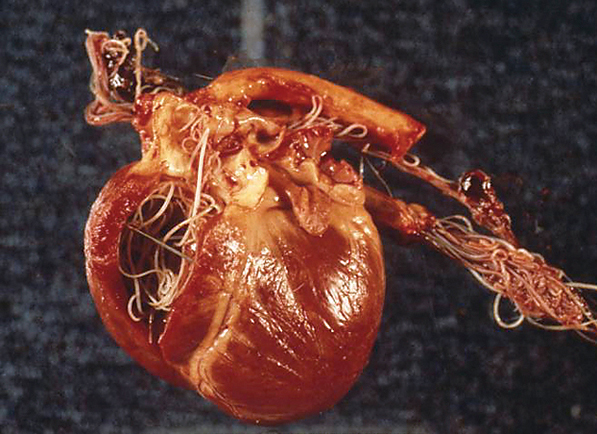 When large numbers of worms mature over a short period of time, the right heart chambers and vena cava can become engorged with worms (ie, caval syndrome), leading to severe right-sided heart dysfunction, pulmonary hypertension, intravascular hemolysis, hemoglobinuria, disseminated intravascular coagulation, shock, and multiple organ failure (Figures 3 and 4). Prompt extraction of the worms to remove the obstruction is essential for survival and typically involves referral to a specialist with proper tools (eg, long alligator forceps, horsehair catheter, basket retrieval device).9 During extraction, care must be taken to avoid excessive intracardiac or vessel damage, as well as laceration to the worms themselves, which can cause sudden antigenic release from macerated heartworms and fragment emboli. 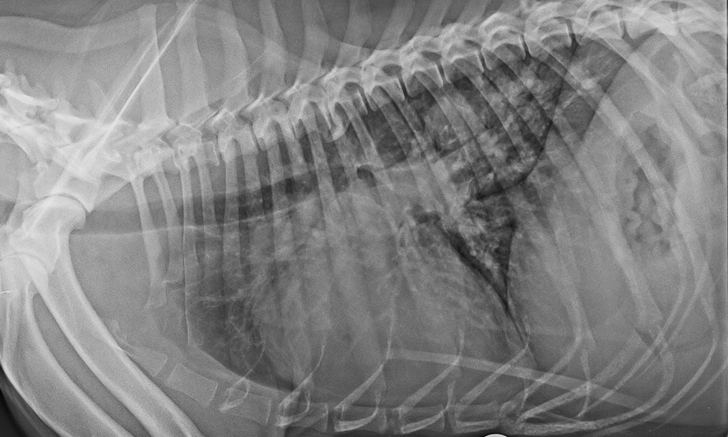 Without prompt worm retrieval, most dogs live only a few days; with worm retrieval, survival rates up to 60% to 71% have been reported, although outcomes are likely highly dependent on the clinician’s expertise.10 Melarsomine therapy is usually needed to kill the remaining worms. Thomason JD, Calvert CA. Heartworm disease. In: Smith FWK Jr, Tilley LP, Oyama MA, Sleeper MM, eds. Manual of Canine and Feline Cardiology. 5th ed. St. Louis, MO: Elsevier; 2016:193. American Heartworm Society. 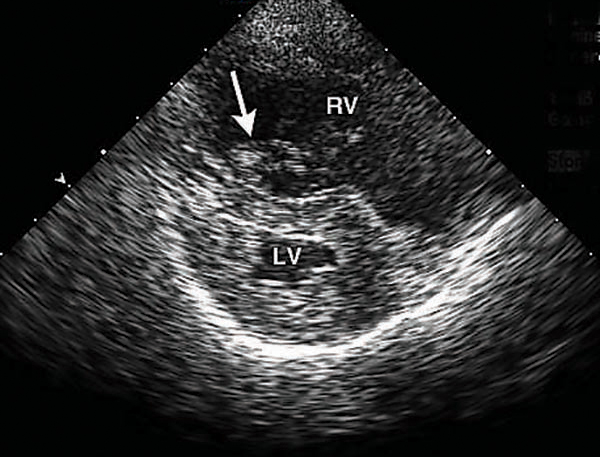 Summary of the current canine guidelines for the prevention, diagnosis, and management of heartworm (Dirofilaria immitis) infection in dogs. https://www.heartwormsociety.org/images/pdf/Canine-Guidelines-Summary.pdf. Published 2014. Accessed February 23, 2018. Fukami N, Hagio M, Okano S, et al. Influence of exercise on recovery of dogs following heartworm adulticide treatment with melarsomine. In: Proceedings of the Heartworm Symposium. 1998; Tampa, FL. 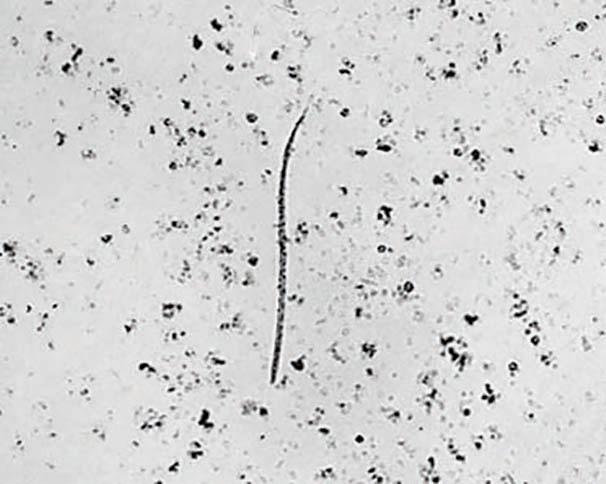 Dillon AR, Brawner WR, Hanrahan L. Influence of number of parasites and exercise on the severity of heartworm disease in dogs. In: Proceedings of the Heartworm Symposium. 1995; Auburn, AL. Case J, Tanner PA, Keister DM, Meo NJ. Clinical field trial of melarsomine dihydrochloride (BM340) in dogs with severe (Class 3) heartworm disease. In: Proceedings of the Heartworm Symposium. 1995; Auburn, AL. Miller MW, Gordon SG. Canine heartworm disease. In: Bonagura JD, Twedt DC, eds. Kirk’s Current Veterinary Therapy XIV. St. Louis, MO: Saunders Elsevier; 2009:837-842. Keister DM, Dzimianski MT, McTier TL, et al. Immiticide: review of discovery, development, and utility. In: Proceedings of the Heartworm Symposium. 1995; Auburn, AL. Vezzoni A, Genchi C, Raynaud JP. Adulticide efficacy of RM340 in dogs with mild and severe natural infections. In: Proceedings of the Heartworm Symposium. 1992; Austin, TX. 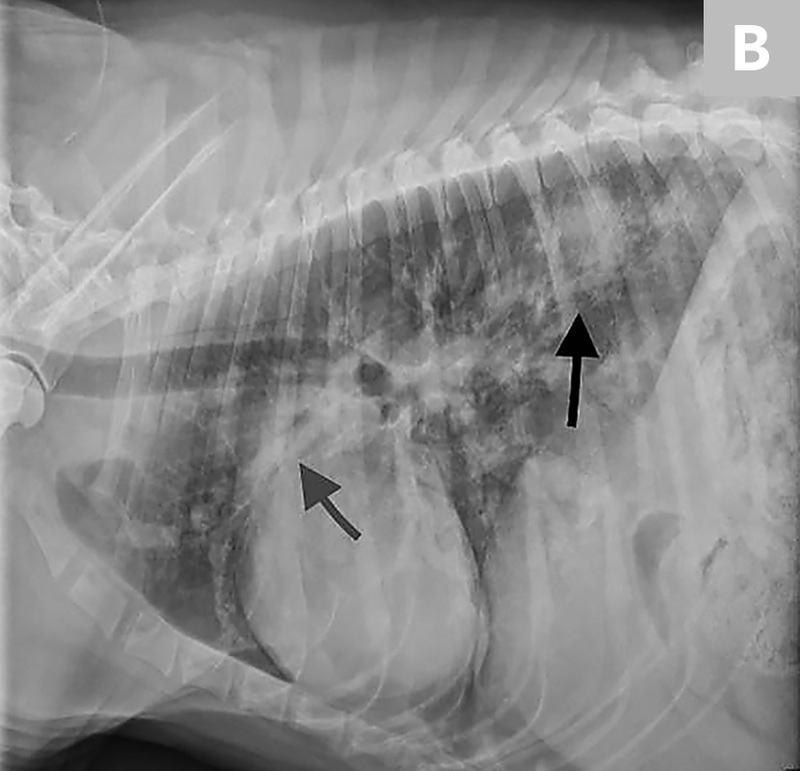 Yoon Wk, Han D, Hyun C. Catheter-guided percutaneous heartworm removal using a nitinol basket in dogs with caval syndrome. J Vet Sci. 2011;12(2):199-201. Bové CM, Gordon SG, Saunders AB, et al. 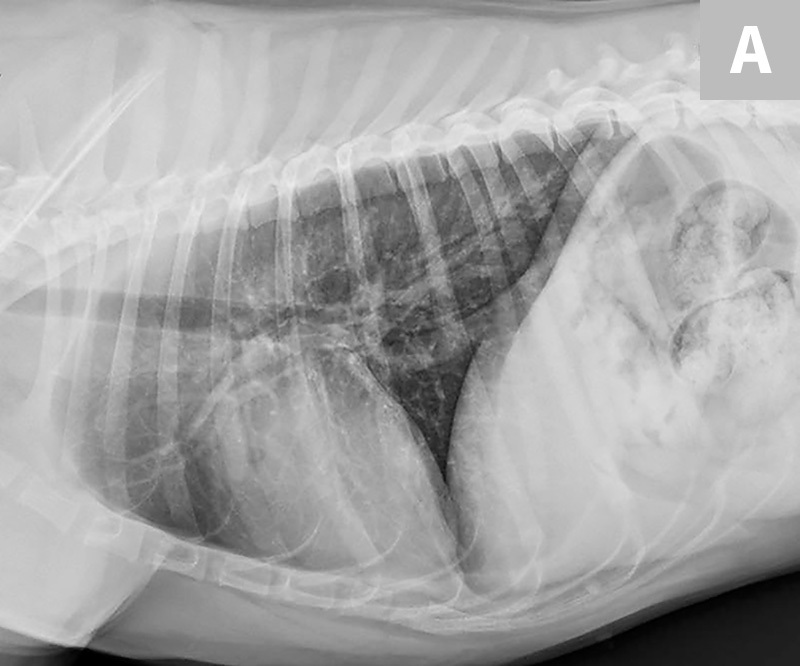 Outcome of minimally invasive surgical treatment of heartworm caval syndrome in dogs: 42 cases (1999-2007). J Am Vet Med Assoc. 2010;236(2):187-192.